Home News	Invited to be in a Joke Book – Check it Out! 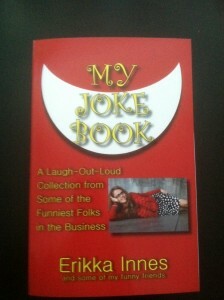 Invited to be in a Joke Book – Check it Out! Got some cool news – I was invited to appear in a joke book called “My Joke Book.” They published 40 or so of my jokes in it along with a lot of other hilarious comedians. I just got the books in the mail and they look pretty sweet! Thanks to Paul Lander and Bryan Cox for inviting me to submit, and Steve Mittleman and Michael Vezo for making the books happen. I carry these around to my shows, so if you decide you want one, lemme know!